A built-in dynamic locking stand adapter with an integral XLR connector simplifies installation. 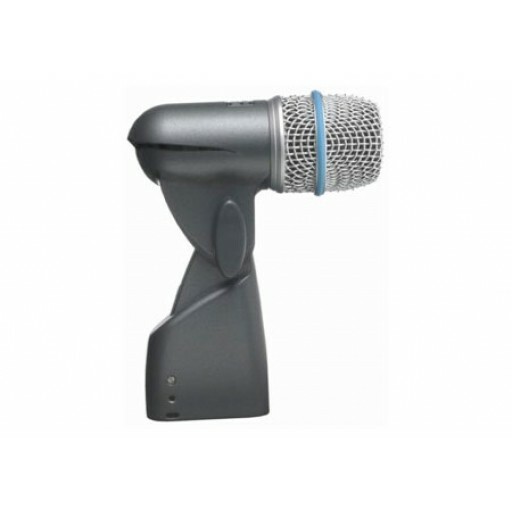 The stand adapter keeps the microphone securely in place, even if it is struck by a drumstick. Typical Beta 56A applications include close miking of tom-toms and other percussion instruments, as well as guitar amplifiers, brass instruments, and woodwinds. NOTE: The curve shows on-axis response at a distance of 2 feet from a uniform sound source. Your response may vary, depending on microphone position.